Nangarhar, Afghanistan—Already in labor and bleeding heavily, Noor Sultan traveled 4 hours from her remote village to reach the health center at Khewa. Her husband Bahram and mother were with her. It was a long way to go, but the family wanted a skilled health care provider to deliver the baby. Midwife Kayenat was on duty. As soon as Noor was brought into the labor room, Kayenat noticed the danger signs and knew she had to act fast. Noor was losing blood rapidly and was about to go into shock. Kayenat’s skilled hands and years of experience helped her manage the complicated delivery safely. At 38 years old, Noor Sultan survived the birth of her 15th child. But the midwife knew that her job wasn’t finished. She knew that another unplanned pregnancy could put Noor’s life in danger all over again. Deaths related to childbirth are not uncommon in Afghanistan. The country’s maternal mortality rate is among the highest in the world. And despite global evidence that family planning improves maternal health and averts a large number of maternal deaths, unmet need for family planning is also high—35% across the country. The Afghanistan Ministry of Public Health, with support from the United States Agency for International Development’s (USAID’s) Helping Mothers and Children Thrive (HEMAYAT) project, is working to change this statistic. HEMAYAT operates in 23 provinces where there is low coverage of essential family planning and maternal, newborn and child health services and where remote and insecure geography has led to consistently underserved populations. 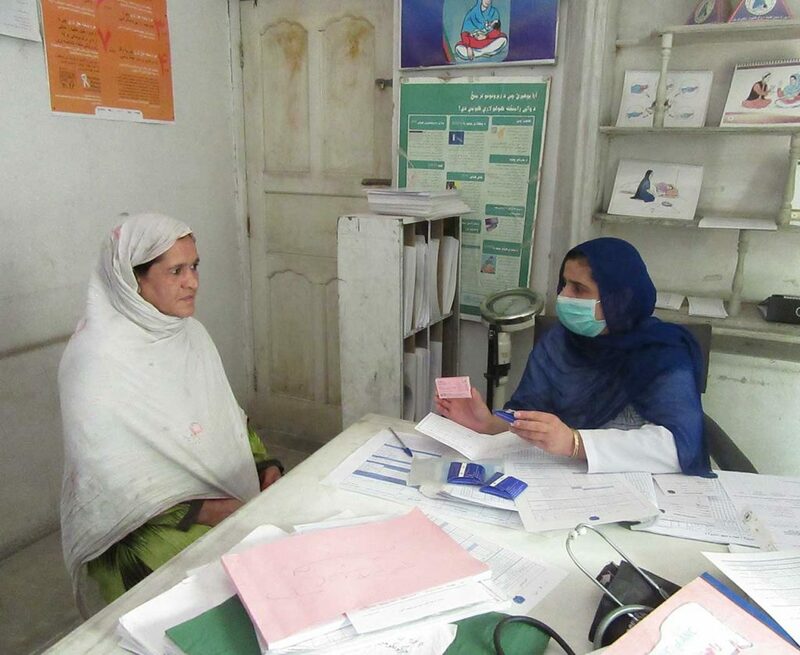 As a part of this project, Afghanistan is developing a strong network of midwives to provide comprehensive family planning services, including the postpartum intrauterine contraceptive device (PPIUD)—a long-acting yet reversible method that can be provided to women immediately after childbirth. Along with learning the latest techniques for providing PPIUD services, midwives learn how to counsel women and their families, enabling them to make informed family planning choices. More than 100 midwives have been trained under this project so far. It was this training that Kayenat put to use when she invited Noor and her husband for a counseling session on birth spacing before they took their newborn home. She explained the merits of healthy timing and spacing of pregnancies, including the advantages not only for the mother, but also for the growth and survival of her children. The midwife described all of the available birth-spacing methods to the couple, including the PPIUD. Noor showed interest in using the IUD, but she was skeptical about the cost. Kayenat assured the couple that the method was a cost-free service and encouraged them to adopt it. After Noor and her husband gave consent, Kayenat inserted the IUD, asking the mother to return to the facility after 6 weeks for a follow-up visit. Noor returned for her checkup on time, and Kayenat found her healthy and happy with the family planning method the couple had chosen. Kayenat sees the impact of her work every day. Seeing women like Noor alive, happy and able to care for their children motivates Kayenat to counsel and provide high-quality family planning services to more women in her community—empowering them with the ability to give birth by choice, not chance.